Just about every person that owns an automobile has had the misfortune of needing a jump start. Whether a dome light or the headlights were left on overnight, you're going to need a jump. 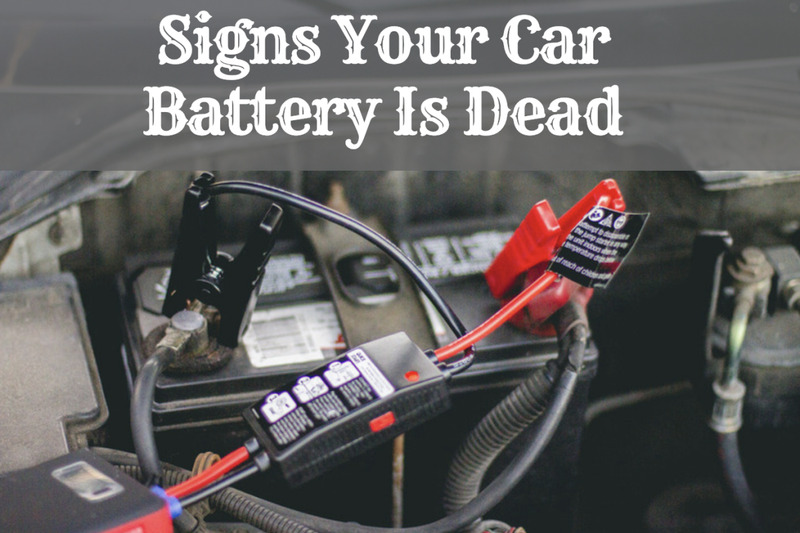 If it's an issue with the battery reaching the end of its life, then a jump start will merely get you to your next destination (which should be the nearest auto parts store), and maybe, if you're lucky, one or two more starts. 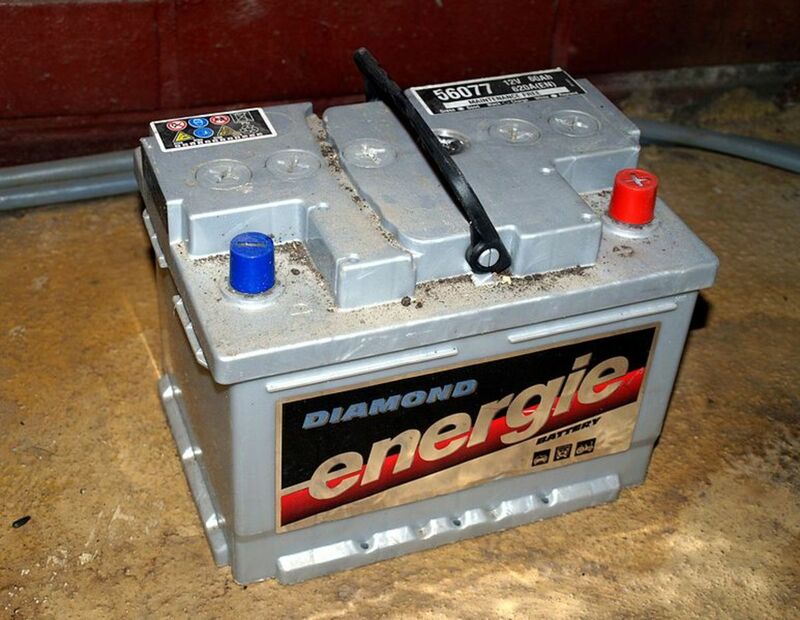 On average, a car battery should last two years. If you can squeeze more time out of a battery, great! But if you're in need of multiple jumps, your battery is done for. Knowing how to set-up the cables to perform a jump start can be daunting. 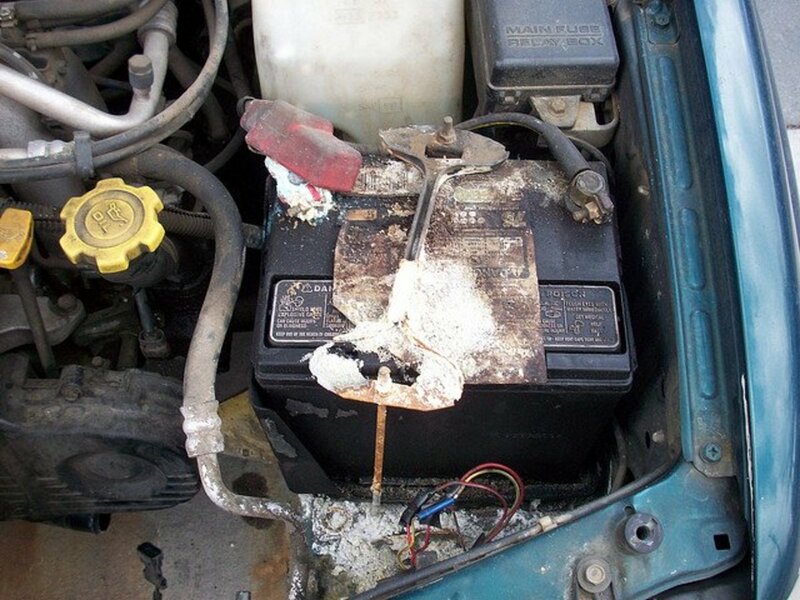 One misplaced cable can cause the battery to explode in a hailstorm of sparks and fire which will obviously destroy the battery on both cars. It can also destroy the electrical system on one or both cars and possibly cause anyone near the explosion to be hurt or killed! Here I will walk you through the steps of a jump start from one vehicle to another, or jump-start your vehicle using a powerful charger. Does the Battery Need to Be Replaced or Jumped? When starting the car recently, did the starter sound like it was a bit slower? Have the headlights recently appeared dimmer upon start-up and become brighter after driving for a few minutes? 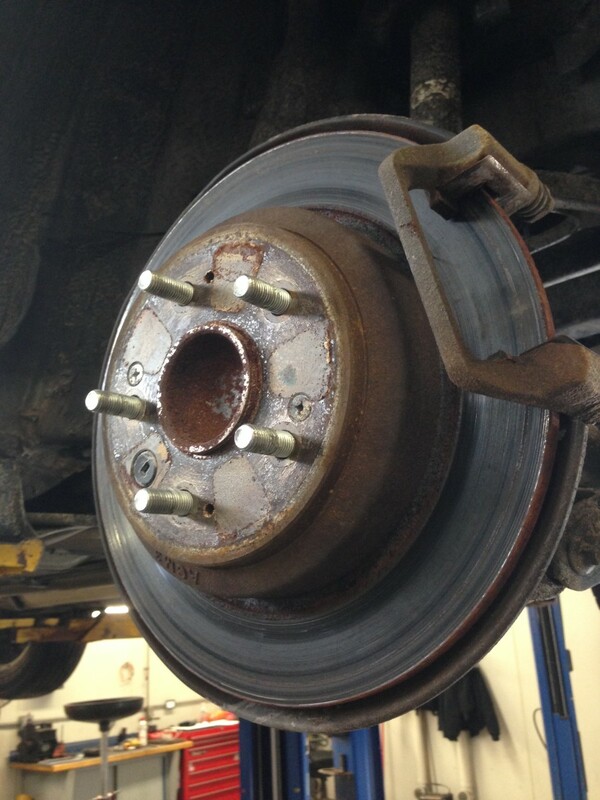 With the headlights on when you accelerate do they become brighter (This can also be a symptom of a bad alternator.)? Has the starter needed more than one turn to get the car started when normally it only needs one turn of the key? These are all symptoms of a battery that is in need of replacement. There is a device that can be purchased just for checking if the battery is good and it's at a reasonable cost (at least it was in 2014). 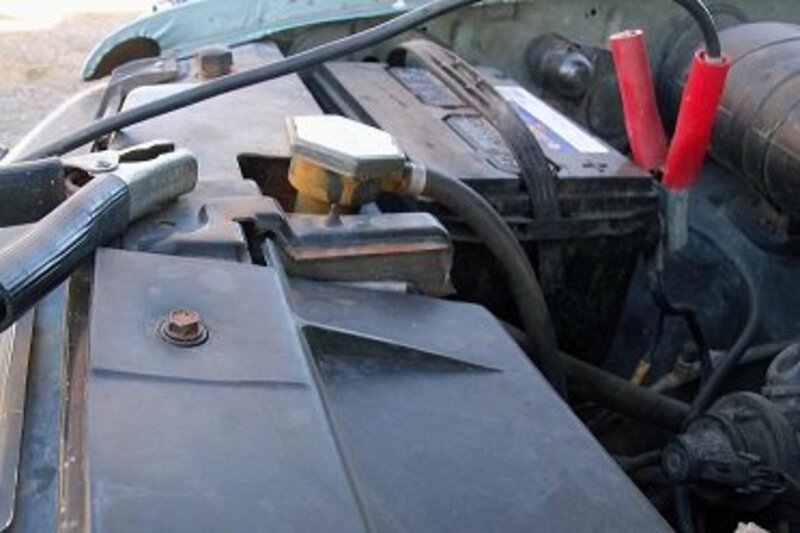 A jump start must cause a vehicle's battery to produce enough amperage to initiate the starter to crank over an engine. Turning an engine is not an easy task. To manually crank an engine over is next to impossible, but it can be done. 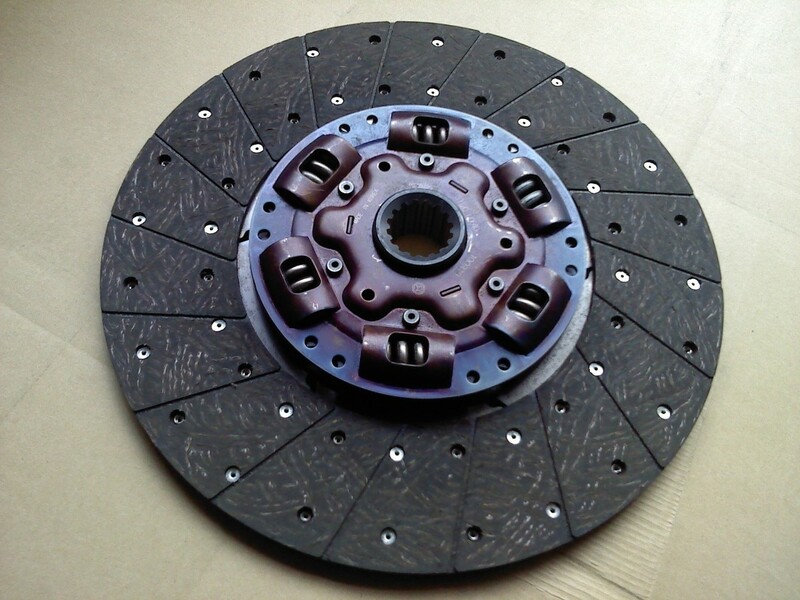 If you're lucky enough to have a clutch, the vehicle doesn't need a starter. You can pop the clutch and it will start right up! 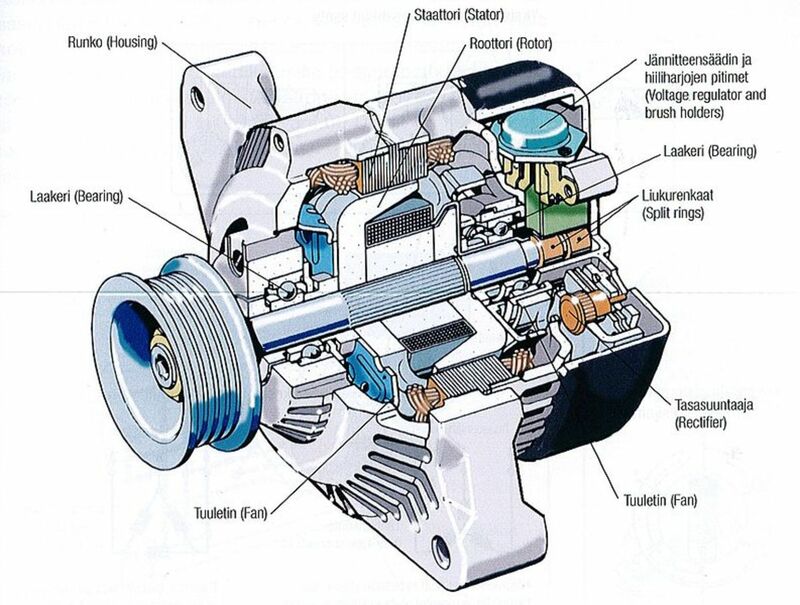 For those of us without a clutch, it is amazing to think how a small piece of machinery, about the size of a shoe box, can crank an engine over, several times in a year, with the simple turn of a key. It's just amazing. I want to give you my usual words of caution, which I always give my friends out there that enjoy wearing their hair long—pull your hair back in a band of some kind to keep it out of any moving parts in the engine! The battery may be dead right now, but it won't be in a minute, and you don't want to be pulled into the engine by your hair! Engines always win that kind of tug-of-war, so put your hair in a band and get it out of the way. The interior lights don't come on when you open the car door. The tell-tale "click, click, click" of the starter when you turn the key in the ignition. No need to worry, you have options! If you find yourself at the market, or some other public place, and your battery dies there are usually plenty of people around that can help, but not everyone is willing to help. If you have jumper cables stowed in your truck, the task of finding a person to jump start you is reduced tenfold because then you merely need a willing subject to open their hood for you to access their battery. If someone offers to jump you, most of the time, they will have a set of jumper cables, but sometimes they don't. In all my 45 years, I have never had a guy turn me down for a jump unless he didn't have jumper cables and even then, he would hail someone else to help me. If you have jumper cables, again, another universal sign is to hold them up in the air, in front of your car, with its hood open, and people automatically know, "That person needs a jump." NOTE: If you are out on the freeway and for some reason you need a jump, keep in mind, if you turn on your flashers with your hood up, it is the universal sign that you are having car trouble. You don't know who is going to stop! Especially to my lady friends, but guys, you should listen up too! If someone stops and that person gives you the willies, just give them a wave and "I got it" or "My (husband, dad, brother, big mean uncle, any male noun) is on his way". Let the person know you have help on the way. With this statement, you're indicating that someone is coming for you, so at any minute they may be pulling up, and you're letting the one giving you the willies, in a nice way, know that you don't need their help and they can keep going. Unfortunately, this is the world we live in today, caution on the side of your safety. You cannot identify every weirdo out there, at least listen to your instincts, if it feels uncomfortable, then wave them on. With that being said, I have found men to be the best option when looking for a jump start, merely because they usually know cars to some degree, usually, but not always, compared to most women that have never opened the hood of a car. So, you have a willing subject for the jump start. You have jumper cables in hand. Pull the "jumper vehicle" up to the dead vehicle on the side that the battery is located or pull it up "grill to grill", but don't let the vehicles touch each other, AND don't you touch both vehicles at the same time. Now, before hooking up the cables to anything, make certain that the alligator clamps are not touching each other. I will take the black, negative cable, and clip it onto the cord of the red, positive cable (see photo). This way the positive and negative clamps can't touch each other accidentally. Start with the "jumper vehicle". With the engine turned off, take the positive jumper cable in one hand, and the negative in the other (remember red is + and black is -). Look at the battery in the vehicle, determine which one is positive, it will have a + sign near it. Squeeze the alligator clip open, clamp it onto the positive terminal. Then, do the same with the negative. By placing the positive first and the negative second you can avoid unwanted sparks. 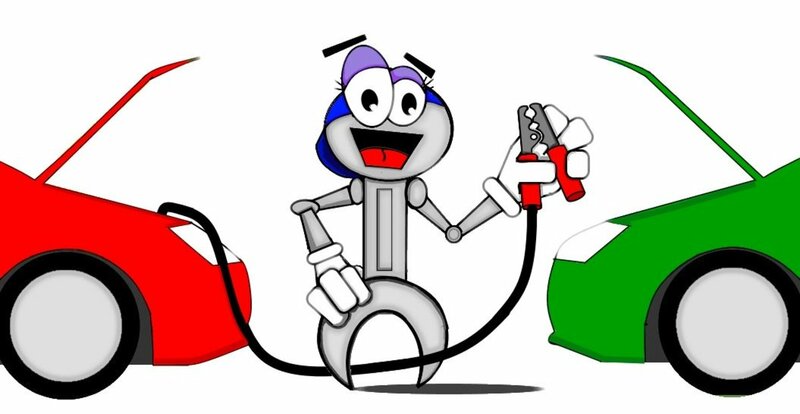 Now take the other end of the jumper cables, check the dead battery to determine which is positive, and clamp the red positive cable to the battery + post. For the negative clamp, it is recommended to place it on a ground source other than the battery negative post. This could be a bolt attached to the frame or a bare metal part of the frame. If you can't find an alternative spot than clamp it to the negative terminal, it's just not good for the battery, and don't have your face right by it when you start the car. Remember positive first, negative second. 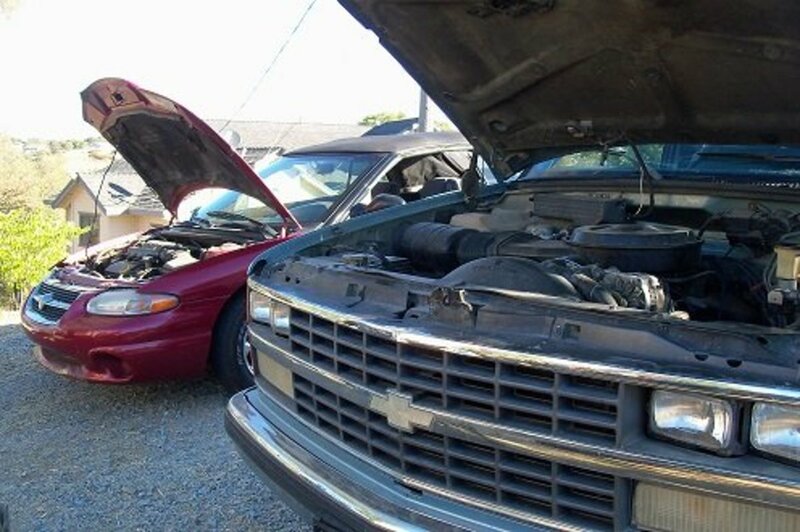 Check to make sure the jumper cables are not near any moving parts of both engine, like the fan and belts. Start the "jumper vehicle". After you've started the "jumper vehicle" try starting the dead vehicle. 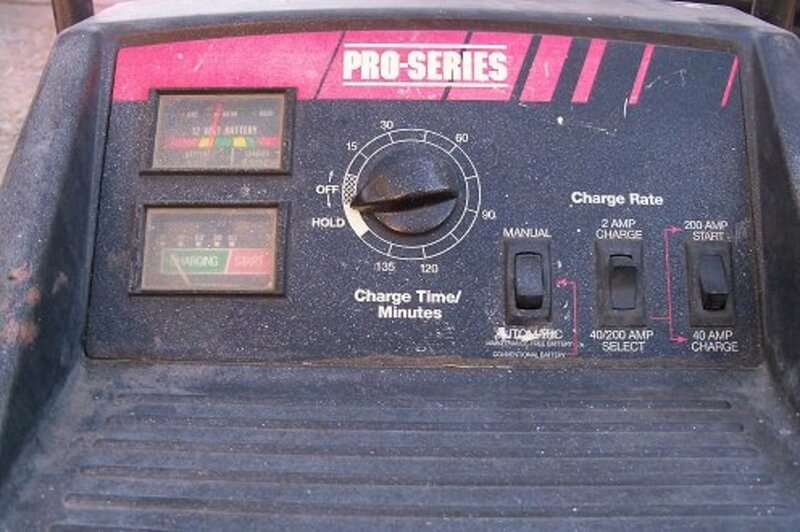 On occasion, especially if you're trying to jump a large engine, you will need to wait a few minutes for the "jumper vehicle" to charge the dead battery a little bit. Otherwise, you can rev-up the engine on the "jumper vehicle" to generate enough amperage to allow the dead battery to start the car. Starting at the battery that was dead, carefully remove the clip on the negative cable from its ground source. Remove the clip from the positive cable from the terminal, again making sure to keep the negative and positive from touching each other. Now remove the clip the negative from the "jumper vehicle" and then the negative. Stow the jumper cables back where they belong or return them to the proper owner and your back in business!! Drive the vehicle that was dead for about twenty minutes. This will allow the vehicle to recharge the battery to starting capacity. 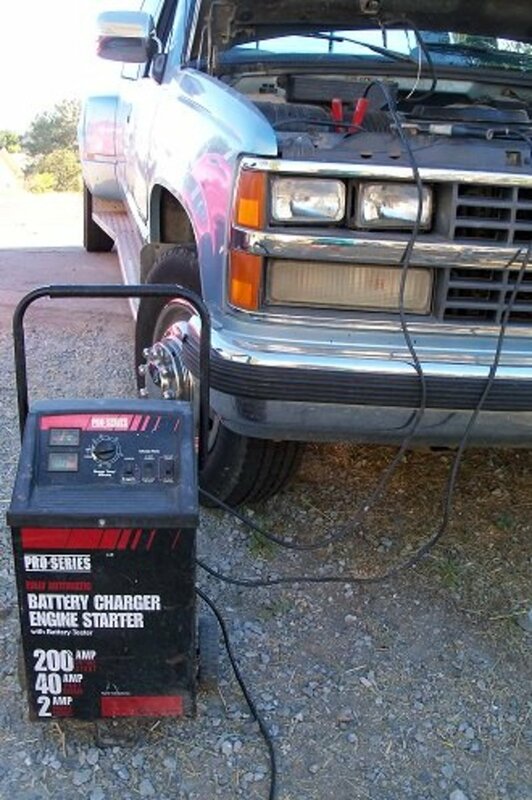 If you have a battery charger with "jump start" ability (a very handy device—a garage isn't complete without one! 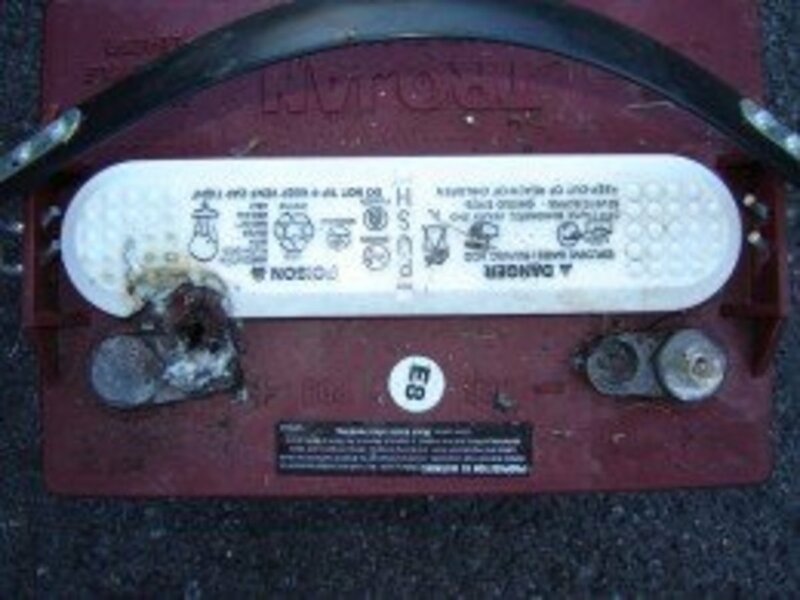 ), it's even easier to start your car with a dead battery than with another vehicle. Place the charger near the battery in the vehicle. Attach the positive cable on the positive terminal. 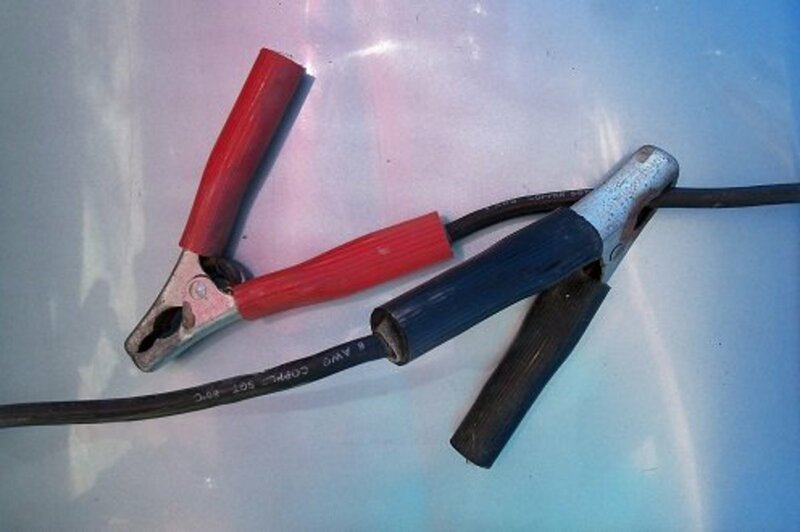 Attach the negative cable to a convenient ground source (see picture). Set the charger to 200 amp "jump start". Wait a few minutes to let the starter put some energy into the battery. Using caution remove the negative terminal from the ground source. Remove the positive cable from the terminal. Stow the charger out of the weather to encourage a long usable life. And you're on your way!! As I mentioned before, run the engine for about 20 minutes to get a good charge on the battery before shutting it off.